Tadeusz Rozewicz. Rozewicz, Tadeusz, photograph by Layle Siibert. Reproduced by permission of Layle Siibert. Tadeusz Rozewicz is a Polish writer who earned a high reputation at home and abroad for his innovative poetry, drama, and prose works. The horrors he witnessed during World War II and its aftermath suffuse the form and content of his early writing. His later works address more universal themes, always reflecting the alienation and disenchantment of modern life. His work is avant-garde and experimental, blending diverse forms and challenging many artistic conventions. A Murdered Brother and Literary Footsteps to Fill. Rozewicz was born October 9, 1921, in Radomsko, Poland, a small provincial town isolated from the country’s larger cosmopolitan centers. His father was a minor judicial officer. His older brother, Janusz, a promising poet murdered by the Gestapo in 1944, was an early literary influence. With Janusz, Rozewicz cowrote a play in his teens and coedited a school newspaper. Shortly before Hitler’s invasion in 1939, he withdrew from school and was forced to seek work as a physical laborer. Fighting the Nazis and a Disillusionment in Humanity. Rozewicz spent the first years of World War II in Radomsko, then under German occupation, at various jobs—messenger, factory worker, and building superintendent. For a year, he served in a peasant battalion of the underground ‘‘Home Army.’’ The experience gave him a firsthand view of the cataclysm that nearly leveled Poland and destroyed one fifth of its population. While a partisan, in 1944 he published his first writing under a pseudonym. After the war, Rozewicz was twice decorated for his military service. Following the conclusion of hostilities, the twenty-four-year-old survivor moved to Krakow. From 1945 to 1949, he studied art history at the Jagiellonian University, and he began publishing satirical prose in various journals. Several of these pieces, along with his poems, appeared in Rozewicz’s first postwar collection, In a Spoonful of Water (1946). In Krakow, Rozewicz decided to become a professional writer. The Nazi occupation and the carnage of war had undermined the young author’s faith in humanity. Having survived the Holocaust, his generation now found itself living under Stalinist Communism. Consumed with outrage and feeling guilty to have survived, Rozewicz channeled his frustration into a distinctive artistic response. His first significant volume of verse, Anxiety (1947), brought instant acclaim. Its stark, antipoetic diction and innovative verse arrangements seemed an appropriate poetic answer to the Auschwitz death camp and its bleak aftermath. Rejecting Both Communist and Capitalist Ideologies. 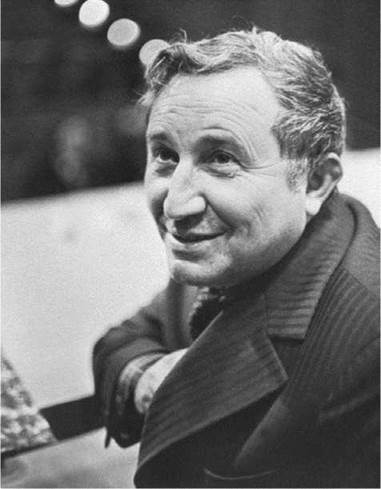 Rozewicz’s poetry filled eight collections in nine years. These works are devoid of ornament, stripped of form, and expressively blunt. Juxtaposing the feelings of a victim and a perpetrator of violence, Rozewicz described a human race with little faith and with a bleak future. Suspicious of all ideology, he perceived Western culture as a massive, deceptive spectacle. In 1949, Rozewicz left the more urbane Krakow for a crowded flat in Gliwice, a working-class city in southern Poland. He and his wife, Wieslawa Kozlowska, another former partisan, stayed for two decades, raising two sons in relative poverty. The Polish Communist regime politicized all aspects of life, mandating that art reflect socialist ideals and dogma. At a literary convention in 1948, Rozewicz openly ridiculed a Marxist journal that advocated adherence to socialist realism, and he was subsequently shunned by the writers’ union. Because he refused to let his writing serve official policy, he was called an ‘‘internal emigre.’’ For a short time, Rozewicz relented, penning some sunny poems in conventional verse structures, which he later disowned. In the mid-1950s, Rozewicz turned to creative prose. Some of his stories were satirical or surrealistic. One poignant prose work, ‘‘Excursion to a Museum’’ (1959), follows a boorish working-class group that takes a day trip to Auschwitz, and returns disappointed by its lack of entertainment value. The Shift to Playwriting. In 1957, at the age of thirty-six, Rozewicz became the first Polish writer of his generation to be honored with a collected edition of his poetry. The accolade not only made his work an instant classic but also gave a sense of closure to his verse. In the next two decades, he staged more than a dozen plays, many of them innovative and controversial. He made a splash in 1960 with the Warsaw premiere of his first major dramatic work, The Card Index. The play rejects plot, narrative logic, and characterization. The central figure is a nameless man who lounges on his bed throughout the play, contemplating his fingers and toes, and ignoring the other characters who question him. This outrageous work closed after nine performances, but has since become a staple in school curricula. Several plays followed in rapid succession. The Witnesses (1962) took aim at the materialistic consumerism Rozewicz perceived in a society whose foundations, despite surface normality, had been seriously undermined. In The Interrupted Act (1964), Rozewicz constructed a play that resists performance. He left it incomplete, with disjointed stage directions, the value of which can only be determined by a director and cast. His efforts to write an antiplay continued with Birth Rate (1968). Concerned with overpopulation, it features a subway train that fills up with more and more people. Several explosions follow, then the characters start flirting with each other, and end up cooing like pigeons. The title character of his next play, The Old Woman Broods (1970) sits as garbage accumulates around her. Again Rozewicz leaves the play deliberately unfinished so that it can be presented with different results and meanings. Independence, before and after the Fall of the ‘‘Iron Curtain’’. By the 1970s, Rozewicz was one of Poland’s most published and discussed writers. During a slight relaxation in censorship, he aroused controversy with the drama White Marriage (1974). The frank sexuality in this comedy of manners proved immensely popular with Polish (and non-Polish) audiences, but the establishment and the church both condemned it as pornographic. Rozewicz explored the life of one of his literary heroes, Franz Kafka, in the loosely biographical play The Trap (1982). The play also depicts the demise of artistic creativity, played out against visions of the impending ‘‘final solution’’—Hitler’s largely executed plan for the systematic murder of all Jews in Europe. The Trap is Rozewicz’s only drama to deal explicitly with the Holocaust. Poland began undergoing a dramatic political crisis in the 1980s. The imposition of martial law in 1981 failed to deter the defiant Solidarity labor union, around which resistance to Soviet-supported authoritarian rule had coalesced. In 1989, the nation elected a non-Communist Parliament, as citizens’ movements across Eastern Europe swept the Communists from power. Rozewicz, however, fell into an artistic silence, publishing only a few sporadic poems between 1983 and 1991. An ardent defender of his artistic independence, he refused to respond to the political and social ferment transforming Central and Eastern Europe. His brief flirtation with socialist realism in the early 1950s had made him wary of placing his art in the service of ideology—no matter whose ideology it was. While Poland was under martial law, Rozewicz had also declined the prestigious Juliusz Slowacki Prize (in 1982). By 1991, though, Rozewicz’s self-imposed artistic withdrawal ended. He published five collections of poetry in the 1990s, and produced a memoir of his brother Janusz, Our Elder Brother (1992). In 2008, his volume of New Poems was nominated for a National Book Critics Circle Award. He continues to live and write in Poland. Czeslaw Milosz (1911-2004): The Polish American poet and translator who won the Nobel Prize for Literature in 1980. Gunter Grass (1927-): A German novelist and Nobel Prize winner, most famous for his novel The Tin Drum. Wislawa Szymborska (1923-): The Polish poet and essayist who won the Nobel Prize for Literature in 1996. Andrzej Wajda (1926-): A Polish film director and friend of Rozewicz, Wajda is one of the most prominent members of the Polish Film School. Pope John Paul II (1920-2005): The first Polish pontiff (1978-2005) and first non-Italian pope since the sixteenth century. The dramas of Tadeusz Rozewicz mercilessly mock reality, society, and the theater itself. Here are some other works in the same deeply critical vein. The Breasts of Tiresias (1947), an opera by Francis Poulenc. This surrealistic opera begins with a woman becoming a man as her breasts turn into floating balloons. The Bald Soprano (1950), a drama by Eugene Ionesco. In this play, two families engage in a nonsensical conversation that seems to demolish language itself. Endgame (1957), a play by Samuel Beckett. A master who cannot stand up and his servant who cannot sit down are the protagonists of this classic play from the Theater of the Absurd. The Discreet Charm of the Bourgeoisie (1972), a film written and directed by Luis Burnuel. A group repeatedly gathers and fails to dine together in this sly and hilarious attack on middle-class behavior. Bus Stop (1983), a play by Gao Xingjiang. People wait for years as buses go by without stopping in this absurdist play by the Nobel Prize winner. Ever since his youth in the remote provincial town of Radomsko, Tadeusz Rozewicz has been an outsider, estranged from the establishment and impervious to literary trends. His work rejects both classical and avant-garde traditions, making literary influences on his work difficult to trace. While fighting in the Polish underground, Rozewicz intensively read Shakespeare, Dostoyevsky, Nietzsche, and the nineteenth-century Polish bard Juliusz Slowacki. Some of the disturbing images in his work are reminiscent of Franz Kafka; his plays The Hunger Artist Departs (1976) and The Trap spring from Kafka’s life and work. As a young writer in Krakow, Rozewicz met Julian Przybos, a leading avant-garde poet of the interwar period who became Rosewicz’s editor, mentor, and an important creative influence. Aside from Przybos, however, Rozewicz shunned Krakow’s literary community. Society Unmoored. A constant motif in Rozewicz’s writing, across all genres and stages of his career, is a ferocious attack on the premises of Western civilization. Without a doubt, the harrowing experience of the Nazi occupation, followed by decades of totalitarian Communist rule, convinced the author that modern society had lost all ethical and spiritual coordinates. This perspective accounts for the absurdism in his drama, the depictions of violence and depravity in his poetry, and recurrent themes of nostalgia for an idealized past, longing for an unrealized utopia, and reverence for the wisdom of the elderly. Antipoetry and Impure Form. Rozewicz’s disdain for the very foundations of culture is the basis for his approach to artistic expression. He rejects the formal conventions of poetry, such as meter, rhyme, and metaphor, and re-creates the poetic through subversive, contrary strategies. His early verse is minimalist, stripped of all pretense, and skeptical of the legitimacy of poetry itself, or of the ability of language to express reality. His experimental plays similarly subvert theatrical norms, conventions, and expectations. His body of work has fused prose, poetry, and drama into one idiosyncratic artistic whole, a strategy that some critics call ‘‘impure form.’’ Alongside Wislawa Szymborska and Zbigniew Herbert, he is one of the most influential contemporary Polish poets and dramatists. Internationally, his profile has risen steadily over the decades. His verse has been translated into numerous European and Asian languages, and his plays have been performed throughout Europe and North America. He has read his work many times overseas, and received numerous international prizes. In this time, his rejection of traditions both poetical and political has garnered him much admiration. Teresa Halikowska-Smith writes approvingly of ‘‘his famous ‘anti-poetry’ programme in which he re-stated Adorno’s contention that poetry after Auschwitz was no longer possible,’’ describing him as one of Poland’s three best-known poets. 1. Analyze some of the ways Rozewicz addresses the subject of war in his poetry. 2. How does Rozewicz’s poetic style underscore the message and meaning of his poetry? 3. In your opinion, is Rozewicz a nihilist—a person who believes in nothing? What underlying ethical or philosophical values are present in his writing? 4. Citing one or two of Rozewicz’s plays, write an essay explaining how and why he aims to subvert theatrical conventions. 5. Rozewicz frequently writes about the need to construct new roles for poetry in society. What roles does he have in mind, and how does his work strive to do this? Czerniawski, Adam, ed. The Mature Laurel: Essays on Modern Polish Poetry. Chester Springs, Pa.: Dufour Editions, 1991. Donskov, Andrew, and Richard Sokoloski, eds. Slavic Drama: The Question of Innovation. Ottawa, Ont. : University of Ottawa, 1991. Filipowicz, Halina. A Laboratory of Impure Forms: The Plays of Tadeusz Rozewicz. Westport, Conn.: Greenwood, 1991. Gerould, Daniel, ed. Twentieth-Century Polish Avant-Garde Drama: Plays, Scenarios, Critical Documents. Ithaca, N.Y.: Cornell University Press, 1977. Levine, Madeline G. Contemporary Polish Poetry, 1925-1975. Boston: Twayne, 1981. Milosz, Czeslaw, ed. Postwar Polish Poetry. London: Penguin, 1970. Rozewicz, Tadeusz. The Survivor, and Other Poems. Translated and with an introduction by Magnus J. Krynski and Robert A. Maguire. Princeton, N.J.: Princeton University Press, 1976. Blair, Rhonda. “White Marriage: Rozewicz’s Feminist Drama.’’ Slavic and East-European Arts 3 (1985): 13-21. Czerniawski, Adam. ‘‘Tadeusz Rozewicz in Conversation with Adam Czerniawski.’’ New Review 3 (1976): 9-16. Halikowska-Smith, Teresa. ‘‘The Poetry of Wonderment.’’ Thumbscrew, Winter/Spring 2000, 46-49. Stone, Rochelle. ‘‘The Use of Happenings in Tadeusz Rozewicz’s Drama.’’ Pacific Coast Philology 11 (1976): 62-69.